Discover the meaning of Istation's Red Cape! In The Red Cape, Danny struggles with reading aloud in front of his class. To inspire Danny, his teacher Mrs. Fisher makes him a red cape— just like the one his favorite comic hero wears. As he ties on the red cape, Danny begins to feel like a superhero. It gives him the determination to practice reading aloud and the courage to face his fears in class. Danny succeeds and ultimately realizes the red cape was there to bring to light the abilities that were already within. We hope you enjoy the comic! 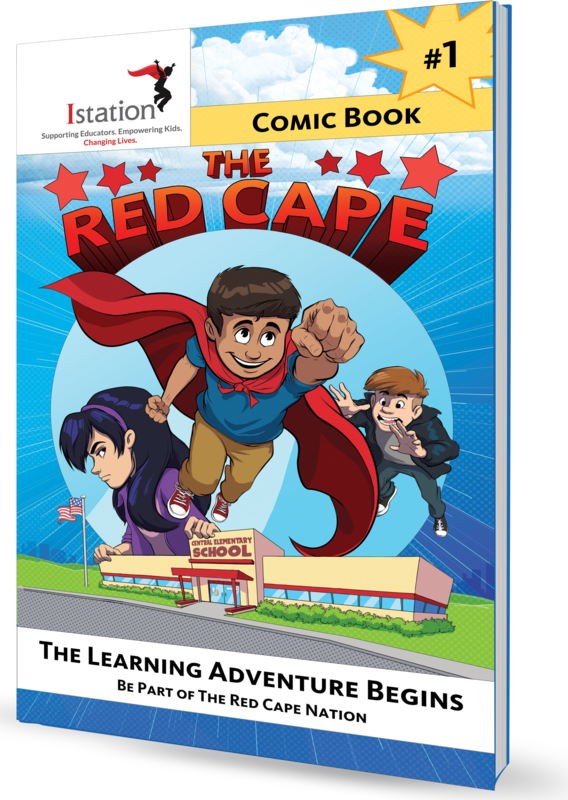 Fill out the form to download Istation's Red Cape comic book! Copyright 2015 Istation. All rights reserved.